This keto low carb sweetened condensed milk is rich, creamy, and tastes like the real thing. It’s just what you’ve been waiting for to take your keto baking to the next level. 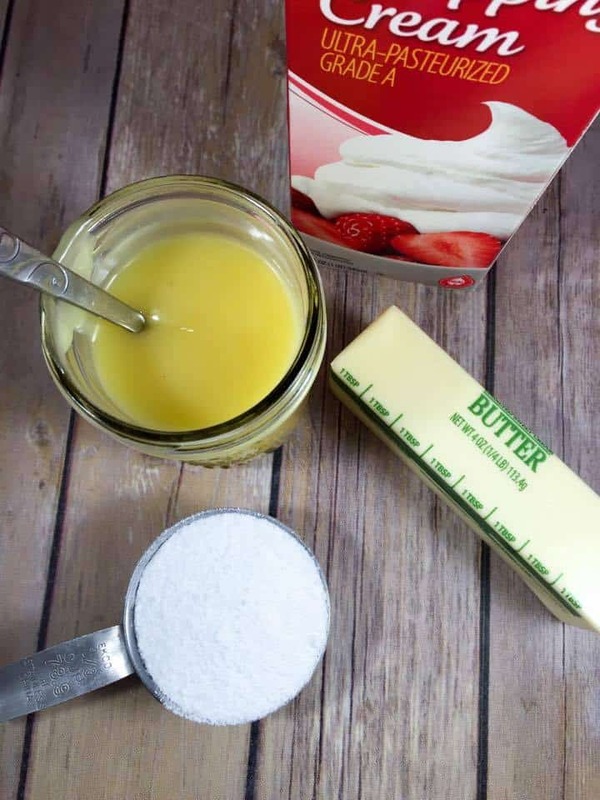 Low carb baking recipes can be hard to find when you don’t want to sacrifice flavor and texture, but this DIY sweetened condensed milk recipe is sugar free and delicious; you won’t even be able to tell that there’s a difference! And if you need a dairy free sweetened condensed milk recipe, there’s a link at the end just for you! This keto sweetened condensed milk is also perfect for THM S baking recipes since it’s a Trim Healthy Mama S Fuel. No need to give up your favorite drinks and treats just because you’re eating healthy! Low Carb sweetened condensed milk can be used for many things, not the least of which is homemade coffee creamer, and delicious Sugar Free Fudge. But the real reason I wanted my own is because of this recipe for Almond Joy Cookies! Oh yes, you read that correctly…THM S, low carb Almond Joy Cookies that you can enjoy without the guilt! But don’t limit yourself to those recipes; the sky is the limit! 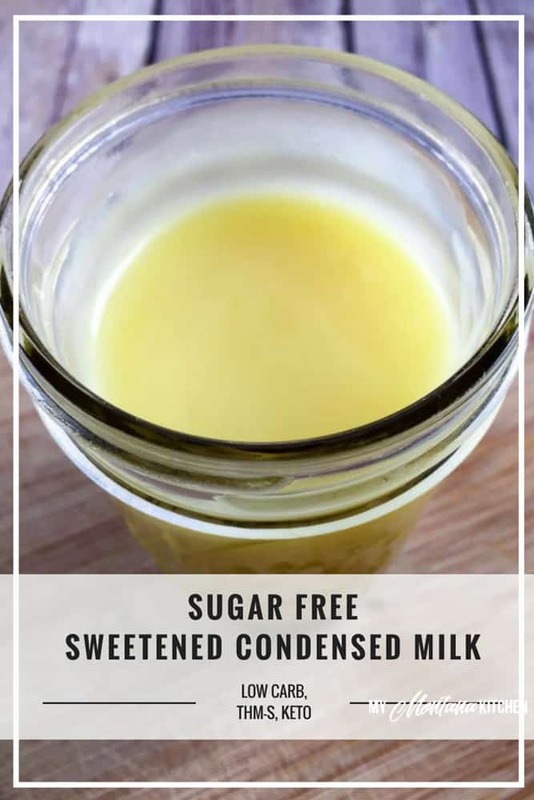 In fact, I’ll be sharing some of my favorite low carb treats below that you can use this homemade sweetened condensed milk with. Try it in your iced coffee, drizzled on some low carb crepes, or anything else you can think of. Be sure to test it out on whatever yumminess your heart is desiring! This 3-ingredient, simple to make keto condensed milk is the perfect fit. A lot of people had mentioned that they had trouble getting the liquid to “condense,” so I created a video just for you. Now you should be able to do it with no challenges…isn’t that exciting? In the video you can see exactly what it should look like when it is ready; isn’t it lovely?! This recipe uses Trim Healthy Mama Gentle Sweet, which is my all-time favorite low-carb, sugar free sweetener. There is absolutely no aftertaste! That’s because this low carb sweetener is a powdered blend of xylitol, erythritol, and stevia instead of just being one of them. If you don’t have access to the Gentle Sweet, it is easy to make your own Low Carb Powdered Sugar to use as a substitute. Making low carb sweetened condensed milk at home isn’t hard, but it does require your attention. Be sure to stay with your pan and not walk away. If you do, it “may” boil over voraciously and cause your 7 year old daughter to come screaming into the next room. (Ahem. I may or may not have done this and it may or may not have made an awful mess). The larger the surface area of your pan, the faster your “milk” will reduce, so use a large shallow pan if you have one. This one is just right. Refer to the video to know when your sugar free sweetened condensed milk is the perfect consistency. It shouldn’t take hours to condense (unless you double or triple the recipe), but using a large shallow pan helps make it as short a time as possible. Please note, it also will continue to thicken as it cools. If you do not use it right away, it should be stored in the refrigerator. When you refrigerate it, it will likely firm up, to a soft fudge-like consistency. This is dangerous, because then you’ll want to eat it with a spoon! But otherwise, it’s a great solution that allows you to make a double (or triple!) batch. If you need to use it for a recipe, simple microwave it for about 10 seconds, give it a good stir, and it should be ready to use in your low carb baking recipe. And you can stir the “fudgy” homemade condensed milk right into your hot coffee. Mmmm. You could also place the jar in a small pot of water on the stove (over medium heat) for a few minutes to achieve the same results. (Be sure to place the jar in cool water and heat gradually so you don’t crack your jar!). And seriously, you may want to make a double batch. 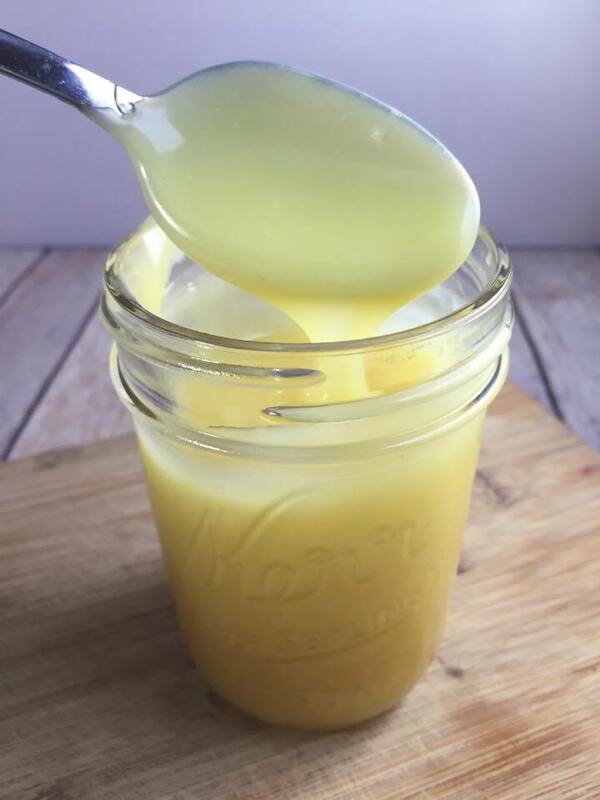 This low carb sweetened condensed milk is seriously amazing! And . . . if need a low carb, dairy free condensed milk, there’s no need to miss out! 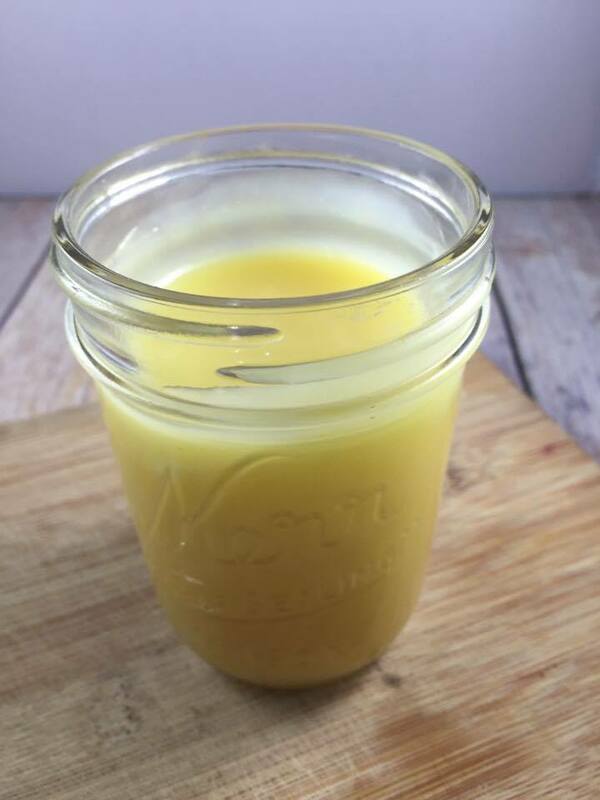 Here is a 2 Ingredient Dairy Free Sweetened Condensed Milk Recipe just for you. 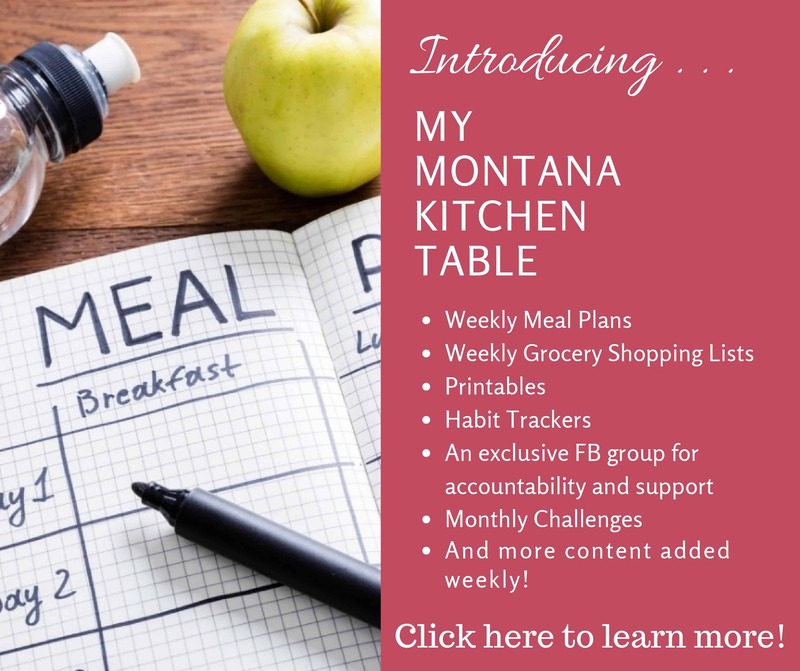 If you want low glycemic friendly weekly menus, printable shopping lists, and MORE, check out the My Montana Kitchen Table! Also, be sure to follow me on Facebook, Pinterest, Instagram, and Twitter! If you make a recipe and love it, please leave a comment on my Facebook Page or tag me on Instagram (my_montana_kitchen_thm)! An easy, low-carb, sugar free sweet condensed milk that tastes just as good as the real thing! This recipe is low carb, sugar free, and a Trim Healthy Mama S Fuel. Place all ingredients in a medium sized saucepan or skillet* (*see notes below) over medium heat. This will take between 15-20 minutes. The end product should be thick and gooey (and delicious)! Makes approximately 1 -1 1/2 cups of Sweetened Condensed Milk. If you do not have Gentle Sweet, check out this DIY recipe . **UPDATED TO ADD** The larger the surface area of your pan, the faster your "milk" will reduce. So try to use a large shallow pan if you have one (think, frying pan?). Please view the video posted above to see how it should look when it is ready. It should not take hours to condense (unless you double or triple the recipe.) It really does help to use a larger pan. It also will continue to thicken as it cools. This looks good Sarah. I had to chuckle at your unattended stove story, that happened to me once. Lol. Thanks for sharing. Your post couldn’t have been better timed! Someone asked me for a low carb version of sweetened condensed milk just the other day and I was totally at a loss. This is perfect! I’ll definitely be sharing, thank you! I am hesitant to use the sweetener you suggest because it is made in China. where there are fewer restrictions on products made there. Is there another alternative sweetener that is a bit safer? This looks so good I think I’d just eat it with a spoon! Um, yes, I did not heed my own advice. I did eat it with a spoon – it is amazing after it sits in the fridge and firms up! Oh my! Thanks for sharing this recipe! I love sweetened condensed milk in my coffee. Can’t wait for the almond joy cookies recipe! I just made this and I have to tell you it is the closest thing to the real condensed milk that I have tasted. I LOVE it. After I made it I took some out and added squeezed some lemon juice in it and I was doing a “happy dance” all over the kitchen. Tasted like a lemon pie my mother used to make using condensed milk and egg yolks and lemon juice! Thank you so much and I can’t wait to see what you are going to do with this…. Such a great idea! I’ve never made condensed milk before. Do you know how many carbs are in the cookies? In the Almond Joy Cookies there are about 1.2 net carbs per cookie. Could you use half and half in place if cream? Perhaps, but I’m not sure. The heavy cream is so thick. I’m not sure how well half and half would reduce. If you give it a try, please let me know how it turns out! I would love to know! I used half and half because my store was out of the heavy cream and it turned out great. 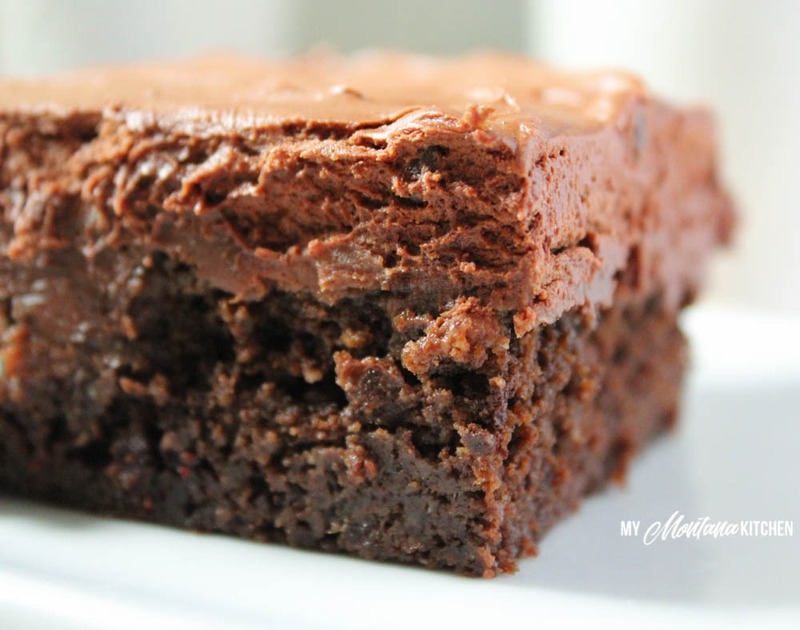 This looks amazing along with those almond joy cookies of yours! Can I use a liquid sweetener such as maple syrup, or else perhaps coconut sugar? How would I know what ratio? Thanks!! I would think you could use coconut sugar, but I wouldn’t know what the ratio should be. Sorry, I don’t often use coconut sugar! 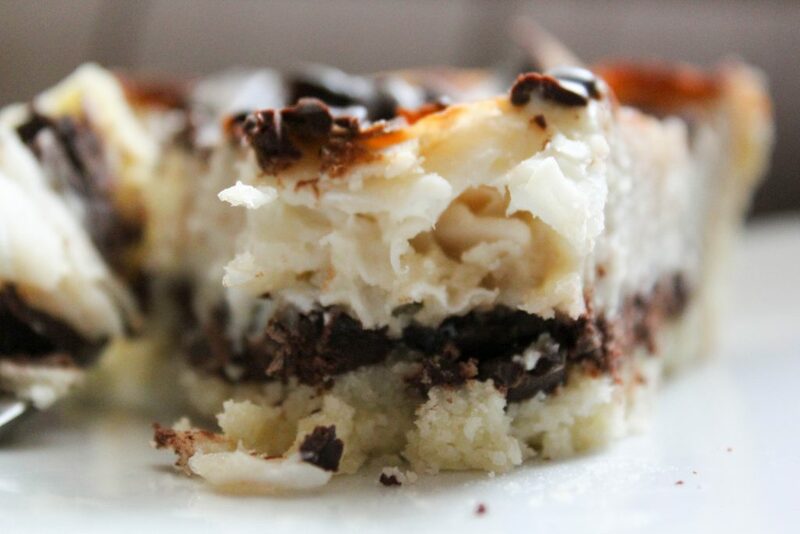 I have been trying to make this for the Almond Joy Cookie recipe and it’s just not coming out! The only thing I can find is “Heavy Whipping Cream” from Land O’Lakes in the near by grocery stores and I’ve been using a generic stevia blend for the “sugar”. It’s just not thickening/reducing/condensing. I’m not sure what I’m doing wrong other than maybe the ingredients. Medium heat (electric stove top), reduce to simmer after boiling point. It’s been over 20 minutes, put it in the fridge for another 15 to see if it thickened. No dice. I have it back on the stove but I really just don’t know how I’m messing this up! I’m so sorry you are having trouble! I have not personally tested this with any other sweetener besides Gentle Sweet. If you are using a stevia blend, could it be a bulk issue? (I assume you are not using 3/4 cup.) It should boil until it is reduced by about half. Also, if you have any gluccie, you could sprinkle some of that on to help it thicken. I had to boil mine (electric stove) for about 55 minutes before it finally thickened up. I simmered on a 2 for 20 minutes and it was still pretty runny, so I turned it up to a 4 and stirred constantly for another 35 minutes before it finally got “thick and gooey”. I used ground Pyure in the same ratio as the Gentle Sweet, as well as the Heavy Whipping Cream. Thanks for you comment. I am making this now and using Puyre also. It’s been simmering for 30 min and just beginning to thicken. I’ll leave it on a little longer. Ty so much for this info! I’m on a very strict budget being on disability so I can’t go buy gentle sweet from Amazo, they don’t take food stamps for then. Puyre, however, is available at my grocery store and voila! It”s much more affordable that way! Tyvm again! I had to boil mine for at least an hour to get it to thicken! I’m sorry. I’ve found that it helps a lot if you use a pan with a larger surface. Hope you enjoy! I used the same ingredients as the recipe and let it soft boil while stirring occasionally for 20 minutes. While it is thicker it is definitely not as thick as the pictures you have. Will it thicken as it cools or do I need to boil it for longer? It should boil until it is reduced by half. It does thicken some as it cools as well. I store it in the fridge, and yes, it does harden (and tastes like vanilla fudge!). I just put it in the microwave for a few seconds to melt it when I need it. I wonder if this recipe could be canned? I honestly don’t know . . . I hadn’t thought of it! How could it be made dairy free? Could I use coconut cream? I think this would be awesome for a pumpkin pie! I’d like to try it this Thanksgiving. Have you made one with this recipe? Thanks! Ok I will, I think I’ll be brave and try it. If you come up with a recipe for pecan pie, minus the HFC syrup, let me know!! Could this be done in a crockpot? I need to do several batches for holiday recipes. I’m sorry, but I do not know. I’ve never made it that way before. If you try it, please stop back here or on my FB page and let me know how it turns out! That would be super handy for multiple batches! I have a stupid question. I always see recipes that just say ‘butter.’ Should that be salted or unsalted? Thanks for the help! Not a stupid question! ? I use unsalted butter. What happens if I use salted butter? Salted butter should work fine. I just made these and I have no idea what went wrong, but the oddest thing happened. I was watching these bake and about minutes in, clear liquid started pouring out of each cookie. It covered almost the entire baking sheet so the cookies were basically sitting in a pool of liquid. The only thing I can think of is perhaps my condensed milk broke since it contains butter? I did notice that it had a bit of a strange consistency when it was done simmering. It almost looked grainy. Ever had this happen? Hmmmm . . . No, I have never had my milk turn out grainy. What kind of sweetener did you use? The first couple of times I made the cookies, thy did run a bit. Finally, I stopped using parchment or a silicone mat, and I just bake them right on the tray. That seemed to help some. This happened to me today. I went to check on them at around the 12 minute mark and there was clear liquid pouring out of them (and they were all well past golden brown!) I took them out and they were all a gooey mess. I put the pan in the freezer for a few minutes and the sweetened condensed milk had hardened in a pile in the corner of the baking sheet. Once I chilled them the cookies had firmed up enough for me to scrape them off the pan but I don’t know why that liquid was leaking out of them! I have not had that happen, but I think it may help to chill the dough before you bake them. I have also made them in a bar pan or muffin tin. This has been simmering on my stove now for 45 minutes. While it has reduced somewhat, it is by no means “thick and gooey”. It is lightly coating the spoon that I’m stirring with, and kind of sticking to the sides of the pan, but it is still pretty runny. What am I doing wrong? ? It should simmer until it has reduced by about half. It also will continue to thicken as it cools. Can you (or the reader who used the instant pot) post the directions on doing this in an instant pot? Thanks so much!! Just wanted to let you know that I followed these instructions above in my instant pot and they were perfect! NPR stands for natural pressure release, I believe. Excellent! I doubled the recipe…it did take longer to reduce! However. I made some of your fudge too…and still have lots left over to play with! I have several recipes I would like to use with this! Thanks! Awesome! It is one of my favorites because it is so versatile! I’m not sure – I would be afraid it may separate. The thm world is going crazy with this with holiday baking! I am looking forward to trying it. This is absolutely amazing!! I think it should be renamed Can’tStopEatingItLikePudding. I am SO glad you mentioned not walking away while simmering. I got distracted by kids/phone/life and looked away, luckily to look back JUST IN TIME…times about 6 times lol. Mine was at a pretty hard simmer/low boil for about 30 minutes and the consistency was perfect!! I ended up with about 1 1/4 cups, so I guess I could have reduced that down a bit more. I did add a tiny bit of vanilla when I took it off the heat = heaven 🙂 Thanks for the great recipe! I don’t think your “life-changing” statement was an exaggeration! This stuff is amazing! I made s/f sweetened condensed milk with coconut milk using a recipe I found online, and it just wasn’t the same… This one tastes as good or better than Eagle brand! I added vanilla extract after reducing, just for fun. 😉 Working on another batch now so I can make the fudge…! Im going to add hazlenut extract and use this in my coffee! I just made a batch to have ready for making your fudge tomorrow! I tasted it and so yummy! Thank you for sharing! I made this about a week ago because I was planning to make the Almond-Joy cookies. It took about 45 minutes for it to reduce and firm up, so I didn’t have time to make the cookies then. I just stored the SCM in the fridge until yesterday. I made the cookies, and I also had the clear liquid issue. My baking sheets were covered with it. I was wondering if it was because I had made the SCM recipe last week and it had been refrigerated but saw others had had the same experience. I personally have not had this happen, but I know a lot of others have. I have sometimes baked them in a bar pan or muffin tin, then cooled them in the refrigerator so they firm back up. I didn’t read the comments about it being better using a skillet when I made my first batch. I did see it this time and what a difference that makes! I think it cuts the time to reduce in half! Thanks! PS. 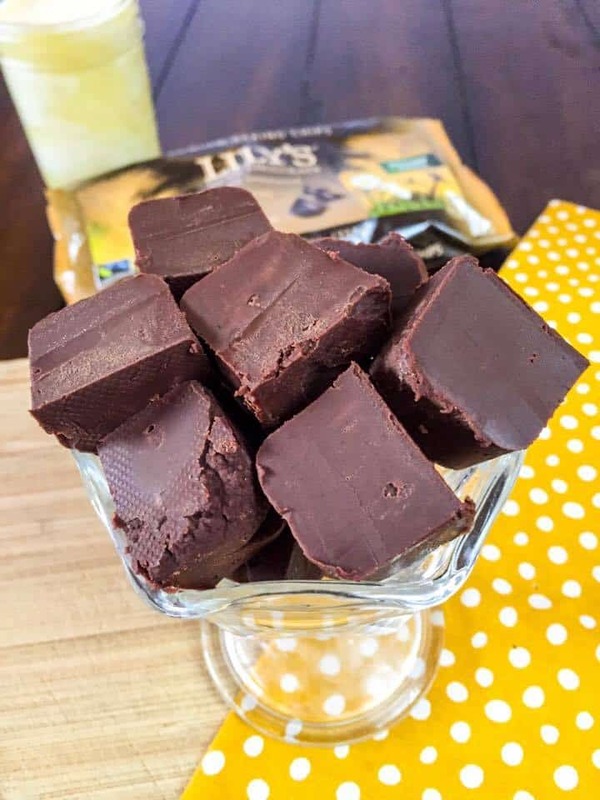 – I LOVE this stuff and my non-low carb hubby loves the fudge! Could I substitute half and half for the whipping cream? I really having trouble with this. I’m on my second batch, and it keeps separating. The first time I simmered everything in a skillet for about 20 minutes, knew it wasnt “thick and gooey”, but figured it would thicken as it cooled, but it didn’t thicken enough. But it looked ok (and tasted great! ), so I put it back on to simmer some more and it began to separate! So I tried another batch, I figured the stopping to cool midway is what messed it up. This time I let it go longer to thicken up before taking it off the heat and it seperated on its own. What am I doing wrong? It’s a seperated greasy mess! Btw I’m using heavy whipping cream, unsalted butter, and Splenda. I am so sorry you are having trouble. I have never had it separate that way. However, I have never used any sweetener other than Gentle Sweet (or a homemade version of it). Perhaps something with the Splenda is causing t to separate? Oh my goodness! This is the best recipe ever! It surely does not taste sugar free! Pure heaven and can’t wait to make your almond joy cookies tomorrow! Thanks for sharing! 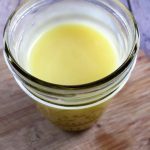 Can I use Ghee in lieu of butter? I would think so, but I have not tried that replacement. You are a genius!! This is amazing! Can’t wait to use it to make your fudge. Thanks!! What did I do wrong? I used a large pan… I used erythritol was that wrong?? I simmered and simmered waiting to see a thick gooey texture but I got a dark brown liquid! It sounds like perhaps the heat was too high. It should be a medium heat, just enough to keep it simmering. If it is cooked too long, it will turn into caramel. This happened to me! It looks and tastes like Carmel, but it’s a little gritty (I assumed it’s because I used Lakanto). Not what I expected, but DELICIOUS! I just made this using Truvia as my sweetener. I had it on low heat after it came to a boil for 20 minutes and then another 10 minutes. It did cook down and turned a lovely gold color but it didn’t thicken up. Could it be because I used Truvia as my sweetener? Possibly – I’ve never used anything other than Gentle Sweet in this recipe. It may thicken as it cools, though. Thank you! Thank you! Thank you! 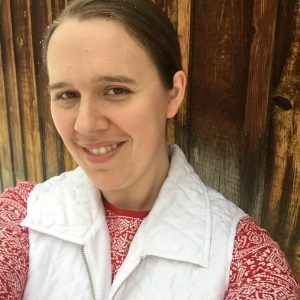 I am the (probably insane) person trying the Keto diet even though I am allergic to coconut (yes, in all forms). I understand that coconut is the perfect food…unless it kills you. I can’t wait to try this. It opens up so many possibilities for me. do you know how many carbs are in the sweetened condensed milk recipe? 1 cup of heavy whipping cream contains 6.4 carbs…… dang it! What is the fat % of the cream you use? We don’t have the same dairy types.. I believe the one I use is 40%? Does that sound right? I’m not able to check at the moment. Just found your recipe on Pinterest. Thanks for taking the time to come up with such great stuff! I was looking for an alternative to coconut milk (can’t stand the flavor), and found this. Just finished making it. Followed all of your directions, made a few adjustments (I used half swerve and half stevia in the raw) and it came out amazing. Stayed by it the whole time, didn’t really feel like cleaning up a sugary burnt mess today. Looked away for a minute towards the end and found it scorched a bit at the bottom. Turned it a nice light gold color. All in all a success. I’m planning on making grain free magic bars with this. ? I just made this using Sola sweetener, and omg, so delicious, I did lick the spoon and scrapped the pan for every drop of goodness to eat! 😂 Tastes like soft caramel – yum! Made this today…great recipe BTW, but I used fresh cream & it turned out lumpy, do you think it’s the cream or did I do something wrong? I’m not sure – I’ve never used fresh cream for this recipe (though that sounds amazing)! Did you use a whisk to stir it? Hi! I stumbled across your recipes on Pinterest, starting with the Triple Chocoate cake one. I have to say I am loving your recipes! I can’t wait to try them! Can you tell me what a servings size is for the condensed milk recipe? I saw the nutritional facts but couldn’t find the SS. Thanks! Welcome Marcene!! I am so happy you have found recipes to enjoy! I love hearing that from my readers! The serving size for the condensed milk is 2 Tablespoons. 🙂 Enjoy! Wow I am so happy you share this recipe! I cannot wait to make a chocolate drunken cherry cake using this condensed milk! Thank you! I made this today, and it is absolutely fantastic! Tastes just like the “real” thing! I did do what you suggested & use a frying pan. Took about 25 minutes, but turned out beautiful! Thanks for this great recipe! I also made the pumpkin bars & they are a hit with the whole family! I am going to make this in coming weeks. I had no idea it was so easy to make a healthy sweetened condensed milk. Can you have nutritional information included in the print version? I printed recipe but the nutritional information was missing; I had to copy it, paste it, and then print it separately. Thanks. Yum! After I tasted it I got a spoonful.. may have burned my tongue a little, but oh well. A little bit dropped off my spoon onto the floor & I was tempted to eat it! It is THAT good! I mean, my floor is pretty clean, but… haha! I followed the recipe exactly & started cooking it then watched the video. In the video you use unsalted butter.. I had just put salted butter in my pot. It does taste a tad on the salty side so next time I would use unsalted. Maybe note that change in your recipe to say unsalted.. I can’t wait to make the almond joy cookies later! Thanks! I’m so glad you enjoyed it! I totally understand the urge to lick the floor! Ha! Could I use Monk Fruit as the sweetener in this recipe? A local health food store recently closed and had everything marked down and I bought quite a few bags of it so now I need to use it. Thanks. Can this sweetened condensed milk be used to make caramel like the sugar-filled version? I honestly do not know, as I have never tried it! I have “overcooked” it a time or two and it turned into more of a caramel flavor. This is some amazings stuff! Thanks for adding to my list of food addictions? Now I just need to find heavy cream in a larger container because I’ll be making my own flavored creamers from now on, and there are so many other things this can be used for. I had to use triuvia baking blend, but it still worked great. Btw, I licked the pan like it was a cake bowl! Thanks so much for the recipe. Oh, this sounds divine!! Lots of possibilities with this recipe. Has anyone tried using stevia in place of the Gentle Sweet? If so, how much would i use? Thanks in advance, and kudos to you for sharing this recipe!! Mine also took more than 30 minutes . But it started separating! it look like battery liquid on one side and a creamy yellowish part on the other side, It didn’t condense like the video …I had to throw it away. What did I do wrong? I thought I overcooked it but by reading the comments of other people it seems like I didn’t because it’s taking longer to cook so I don’t know what happened …. I’m so sorry, Laura! I’m not sure what could have happened. What sweetener did you use? I was wondering if I can sub in the super sweet blend in all these recipes that use gentle sweet and just use 1/2 the amount of e sweetener ? Or it could possibly mess it the texture of things ? I made this because I also want to make your fudge which looks amazing and not a fan of the cream cheese fudge. While it wasnt the custard type of texture, I had it on the stove on simmer for 30 mins and then another 20. It’s been in fridge for last 3 hours and has firmed up since. How firm should it be? If it’s not thick, will it still work when using your fudge recipe in microwave? I just scrolled up and realized you had a video there and noticed the mistake I made. I had it on too low heat and it did not bubble enough. Could I stick it back on the stove from the refrigerator to make it thicker and then refrigerate again? Thanks! I have made other low carb condensed milk recipes, but this one is by far the easiest and best in texture and flavor. The tip about making it in a frying pan is brilliant! Thank you. I’ve made this 3 times now using half heavy cream and half 1/2 &1/2 to lighten it up and it works beautifully! No need to use all that heavy cream. Awesome! That is great to know – thank you for sharing! Made this with Sukron Gold instead of Gentle Sweet and it’s amazing! I’m so glad you enjoyed it! I used My Fitness Pal to calculate the numbers. Perhaps Sukron Gold has less calories than Gentle Sweet? Have you ever used this making homemade ice cream in an electric ice cream maker? I have not – I have a couple of ice cream recipes on my blog, but none using this sweetened condensed milk. I would think it would work, though! I love using your condensed milk recipe to make low carb pancakes with coconut flour. So good. This is my second time making it, and the first time, I didn’t use a large pan, so it took 40 minutes with a lot of foaming over. I stuck with it and ended up with the thick creamy results expected. This time I used a bigger sauce pan as recommended, about a 4qt size, and it took 15 minutes, with no bubbling over. So so so good. I use it for coffee, topping coffee jelly, and in fudge. Thanks for this magical recipe. Made this today and oh my goodness, turned out perfect and oh soooo yummy 😋! Thank you for the recipe!! Thank you for the recipe! I just made it and turned out like yours!😋😍 I used Pyre for sweetness! First time making sweet condensed milk and I loved it! How important is the sugar to get the consistency of condense milk if I were to use milk and butter only? I’m thinking of add liquid stevia after it thickens. What’s your take on this? Thank you ! I think it would still work! If you try it, please come back and let me know how it turns out! Absolutely delicious! I used Splenda as a sweetner. Once the mix had cooled down i made a lemon flan that i had not made in many years and more recently would never consider making again because of the condensed milk. It tasted exactly like the original. I think the recipe may be exactly the same for key lime flan using lime instead of the lemon. For those who say the mix is separating it may be because the cream is being heated up too quickly (or the butter). Try starting off with a slow warm up. Even consider getting your butter really soft or completely melted before mixing it with the cream. Let it start reducing on a low medium heat and if you think it might be starting to seperate use a whisk in the pan to blend it. Once its reduce d but before it really cools you can also whisk it again. Can I use Swerve granular in this recipe? Did you try making it with Swerve? I’m planning to make it soon and wonder if it will turn out ok using Swerve? Yes, Swerve should work great! So…I made this yesterday and just now may, or may not, have eaten it with a spoon….YUMMY!! Thanks!!! Hi Tara, the recipe is at the very bottom of the post (just above the comments). Hi Kim, readers have reported using swerve in the same amounts with wonderful results! Oh my goodness!! This took much longer to reduce than I expected, BUT, I am so thankful I didn’t give up. I think this just changed my life….seriously!! This is absolutely delicious!! Thank you so much for sharing!! I can’t find the video of how to make the condensed milk! Is it in the video series at the top of this page? I only watched a couple of those and then gave up) I made this quite a few months ago but just read about the pan you recommend so I’m looking forward to making this again! OH! Please disregard my question! It was right there at the top! Sorry!! Yum. Made fudge, poured the left over condensed milk into a flat dish and put it in the freezer. Cut it into small pieces and the taste reminds me of white chocolate. Yum times two. Hi, I’m just wondering how to figure out the macros for the finished product. Would it be the same as before it is condensed just less volume? Tia! I feel like I should be proposing to you or something. This. Is. AMAZING! Being the rebel I am, I doubled it my first try. Read through a bunch of the reviews and watched the video twice to make sure I got it. It took probably 30 min to condense down. I do not care for recipes that claim to taste just like their flour/sugar counterparts. This still has the sweetener aftertaste that I don’t think I’ll ever get used to, since it’s been a few years now. But this, ohhh myyy. I want to live on this stuff. Screw nutrition, just cream and Gentle Sweet. Then again, that may be hard on the wallet. But, anyways, this will definitely remain in my fridge forever now. You’re awesome!!! !